Organic Photovoltaic (OPV) cells are based on emergent organic materials. Because they are scalable for mass production and do not depend on scarce or toxic materials, it’s possible they meet all requirements for the future’s large-scale energy system. Our patented process enables manufacturing of fully organic solar cells that can be large-scale produced and are not dependent on scarce or toxic components. There have been criticisms of OPV over the years regarding efficiency and longevity, but recent developments have shown that polymer-based OPV can provide the same efficiency as silicon and that flexible OPV can have a long-term life expectancy of 20 years. and both efficiency and longevity are continuously progressing. Our marketing strategy is to commercialize OPV in three phases as global polymer research produces increasingly improved and scalable material. In the first phase we focus on the trillions of connected sensors and similar devices that are on their way through the tremendous Internet of Things development. The industry says that replacing batteries is not an option. Our solar cell has the market’s best efficiency indoors and is materially optimal for integration with tiny things. 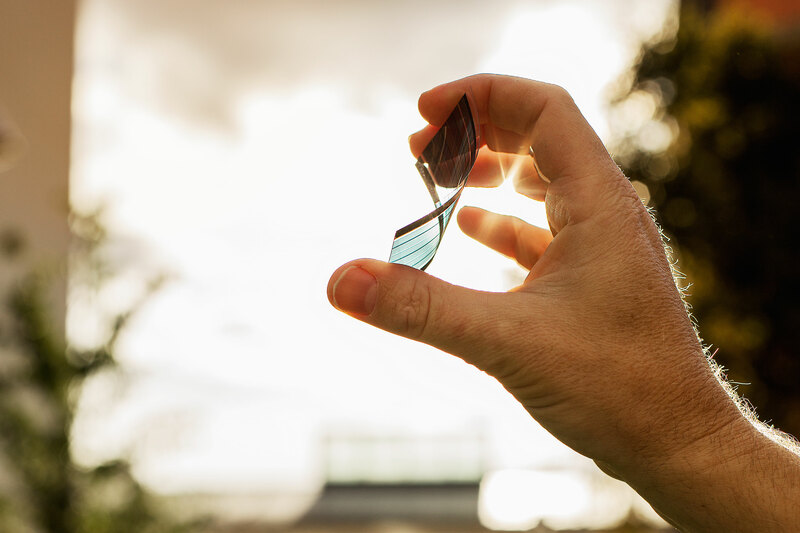 Our organic solar cells are lightweight, thin, flexible and semi-transparent. Phase two will see us utilizing them in building material integration and in other areas where traditional solar energy fails. When we reach the market’s best price per kWh and large-scale usage of our vastly scalable manufacturing process is realized, the planet will benefit from the most resource- efficient solar cell ever seen. 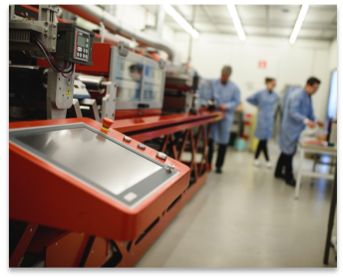 We will build printing machines the size of newspaper presses that will manufacture roll-to-roll solar cells producing the equivalent power of a nuclear reactor every month. Send an email to info@epishine.com or use the contact form below if you want to know more.